If you have yet to be introduced to Lela Rose, today is your lucky day. Her gowns are stunning and I love how they are made with soft, flowy fabrics. They have such a soft & sweet feel to them. 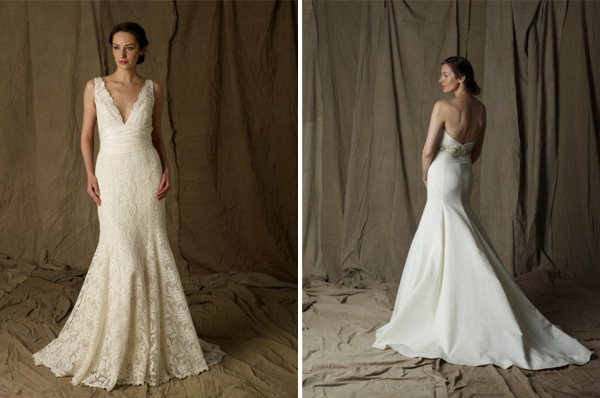 Make sure to check out Lela Rose online to see the full line, but if you live in Nashville or the surrounding areas, The Bride Room will be holding a trunk show September 16 & 17th so you can see these gorgeous dresses in person. If you would like an appointment, make sure to call or email them asap! 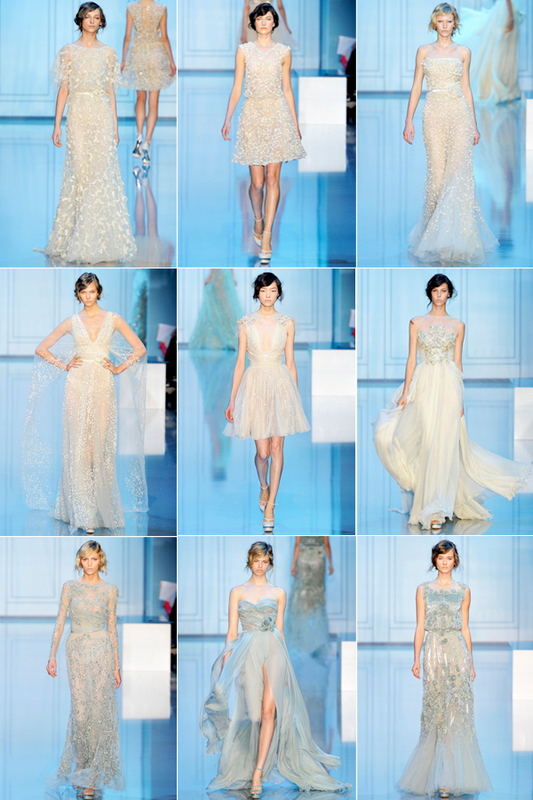 I am absolutely dying over Elie Saab‘s 2011 Couture Collection. 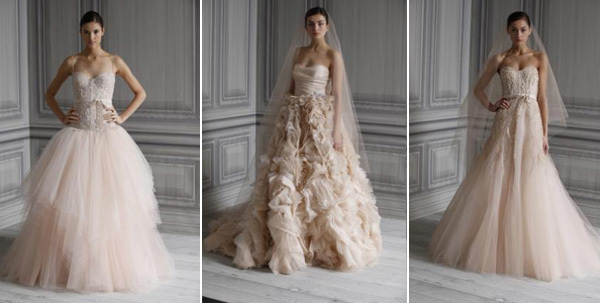 These gowns are so breathtaking and I love the Parisian feel to them. The flowing fabrics have such a sophisticated ease to them. 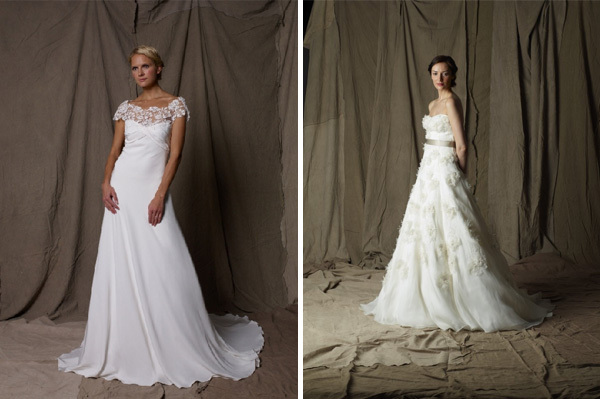 For the modern bride or bride who is having her 2nd wedding, I love the options if you are not wanting a white dress. 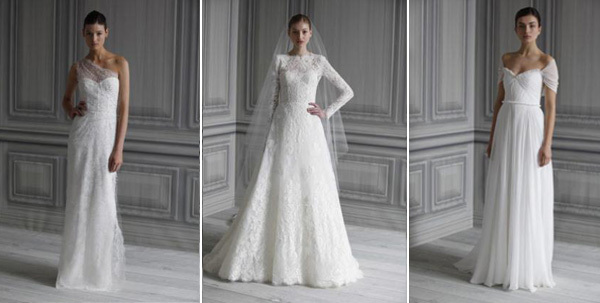 The bottom dresses in soft grey/blues are stunning. Which is your favorite?